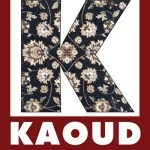 At Kaoud Rugs, we pride ourselves on convenient customer service. Please use our CONTACT FORM to reach us via email. We will respond to you within one business day. Be sure to include preferred contact information and a detailed description of how we can serve you. Please enter the math result in the box provided to the right and click Submit.